My first experience of taking the ayahuasca medicine was truly one of the most remarkable I have ever had. It brought me in touch with something very essential, something very deep within myself, allowing me to access a core identity that is normally obscured by ego and attachment. After the experience, I seem to have retained some capacity to enter into a calm and centered state of mind, even as the day-to-day storms continue to rage. My expectations prior to taking the medicine were a cross between anticipating a profound healing and spiritual rejuvenation, and the fear that I would go stark, raving mad. In certain respects, both of these expectations appear to have been realized. The hour or so before we began, I recall a time of mounting anxiety and excitement. Where I would decide to sit in the circle took on great importance. Although I questioned what I was getting myself into, there was no consideration of turning back. It was a great relief when we were finally ready to begin. Walking over to take the medicine, I could still feel the conflict over what I was embarking upon churning away inside of me. It was therefore of some surprise to me that when it came to be my turn to drink, I did so very assertively, without any hesitation. I felt a sense of relief and a surge of confidence upon observing that the anticipated ambivalence was not there. During the early stages of the experience I felt relaxed, drifting into a reverie of pleasant thoughts and images. My mental content for the most part remained in the here and now, securely anchored to my familiar ego identity. At times my imagery became eroticized, without any of the usual guilt accompaniment. At other times it became humorous, yet tinged with compassion. 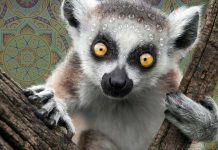 At one point I reflected that the experience seemed to be a rather easy one, somewhat like a mild MDMA trip. When the guide announced that about three quarters of an hour had elapsed, and that anyone who felt they were “not quite there yet” could take a booster, my arm shot up, with a speed that was a bit surprising as I had earlier told myself that I was not going to “overdo” it. As a rule, I don’t pray. Yet, owing to the nature of the session, normal rules did not quite seem to be in effect. Shortly after lying down from the booster I began to sense that I was now in for it. At first I began to feel some physical discomfort, initially gastrointestinal, followed by a generalized restlessness. I also began to feel some confusion, and a strange sense of detachment. As I became preoccupied with this rapidly increasing dissociation, I began to experience mounting anxiety and fear. The memory of a somewhat frightening mushroom experience a few months before crossed through my mind. I became involved in a desperate struggle to maintain some sense of control. Lying there, trying to focus on my breathing, I reassured myself that the fear would pass, as do all things. Then I had the sense that my ego, my familiar identity, was beginning to fragment. I experienced a pulsating rush of ego attachments, weighing on me, heavier and heavier. Feeling that the weight of all my attachments was getting too heavy to bear any longer, I decided that this seemed to be a good time to throw up. I sat up, grabbed my bowl, and after a few dry heaves, began to vomit. As I was doing so, the thought crossed my mind that I was throwing up all my ego attachments, all of the things that were weighing me down, holding me back. Although I would not call it a hallucination, I imaged that the purging flow of vomit was transformed into a cascade of shimmering beads. After I was done, I lay back down, feeling considerably relieved. Although I was by no means done with fear and angst, this brought to a close the most terrifying aspect of the experience. 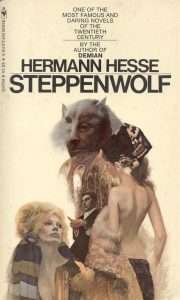 The psychedelic novel Steppenwolf, by Hermann Hesse. Published in 1927. The experience continued to be strong and at times frightening. I remember at one point thinking of what Hermann Hesse had said in Steppenwolf, that the Magic Theatre was “not for everyone.” The message I began to perceive was the need to let go of my attachments, to actually relinquish all that I identified with. I found it surprisingly easy to let go of some things, including my investment in being a doctor. Other attachments were harder to give up. One painful struggle in particular I can recall was that of letting go of being a “nice Jewish boy.” For some reason this one was very difficult. I also recall, however, the very profound experience of completely letting go of life. I sorrowfully began to conceptualize that all of my attachments, all of my identities, were but transient phenomena and would inevitably end. I thereupon imaged my death in all its horror, including the rotting and decay of my body. I was able to very clearly see my skull crumbling into dust. Oddly, instead of the expected terror, this image left me with a sense of profound awe. At this point, it is rather difficult to recall the precise sequence of events. Certain memories do stand out, however. I remember being flooded with BPM II imagery [associated with the second, oppressive phase of the birth process in Grof’s model—Ed.] including being among masses of terrified concentration-camp prisoners, awaiting my turn for execution. I also imaged piles of bodies of South American peasants dying in ditches, after presumably having been executed by soldiers of a tyrannical government. These images left me struck by the profound suffering that humanity has had to endure. I felt tremendous sadness and grief, as well as rage that all this suffering had been caused by the acts of other men. Surprisingly, I also felt some compassion for the executors, in part because I seemed to be able, in a very disconcerting way, to identify with them as well. As a rule, I don’t pray. Yet, owing to the nature of the session, normal rules did not quite seem to be in effect. So I prayed and prayed, desperately. For myself, for all of us in the circle, for my family, for humanity. I prayed and I prayed. For deliverance from suffering, for healing. I began to cue into the chanting of the music, expressing my prayer deeply and sincerely. As I prayed, I began to feel uplifted, filled with a wonderful sense of calm. After having so recently experienced my death, it felt miraculous to be alive—truly alive—and in touch. When the guide called for the circle to reform and for the talking stick to be passed, I had no idea what I would do. Yet as I took the stick, I felt a great sense of peace. Although as a rule I never sing (I’ve known since I was a child that I can’t carry a tune), I sang. I sang my prayer to the spirit of the medicine that we all be healed. As I sang, I had the sensation that I had found my true voice. It seemed that this voice of mine was something I had lost or been forced to put aside long, long ago. To be able to access it again filled me with a great joy and peace. Five years after my initial experience, I had the opportunity to take ayahuasca in a wild Amazonian rainforest setting. I am still amazed that I had such a positive and profound experience, in spite of the terror and dissolution of self in the earlier stages. I also feel profoundly grateful that I had the opportunity to take the ayahuasca medicine. Its essence for me was its capacity to heal. The revelation that such a medicine does indeed exist is inspiring. I was filled with questions. How can this medicine be applied? Should it even be openly discussed or must it be kept a secret? 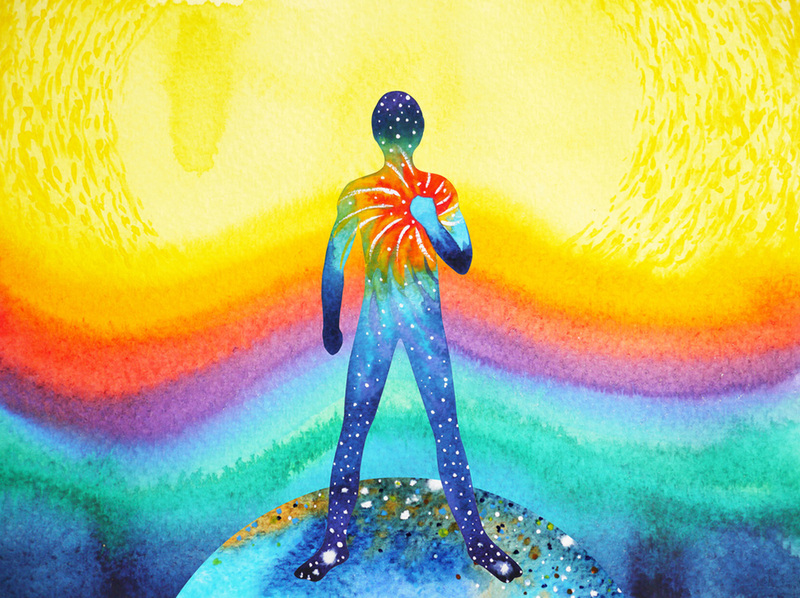 As our world rushes toward an apocalyptic self-destruction, how could such a medicine as this be used as a vehicle for healthy and compassionate change? That the Amazonian rain forest now appears to be on the verge of extinction strikes me as no coincidence. What can be done? As a physician, I commonly use and prescribe medication. 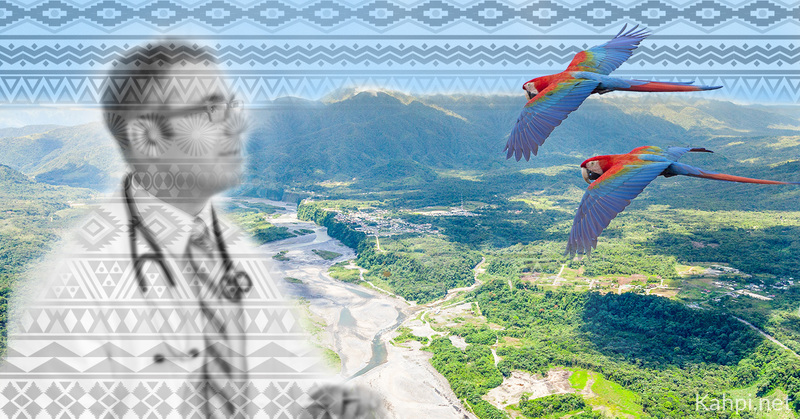 Until this experience of ayahuasca, I had never experienced what a true medicine might be. It is a terrible shame that we are unable to share the secrets and powers of this medicine with the suffering people who come to us for help. I would like to believe, however, that a strategy could be implemented for the future that could facilitate such intervention. If our society is unable to incorporate such a change, however, it will be a sad world indeed. I remain in awe of the beauty and power of the experience. I am the same person I was before the session, and yet I’ve changed. I seem to have taken away from the experience a sense of calm and connectedness that is very precious. I also feel that there is hope for myself and for the world. 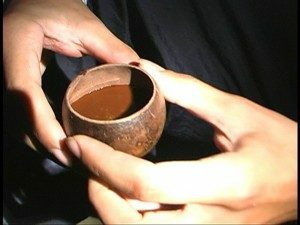 Five years after my initial experience, I had the opportunity to take ayahuasca in a wild Amazonian rainforest setting. Far from the closest center of habitation, we made camp in a clearing on a high bluff, overlooking the river. As night fell, we were enveloped by the sounds of the forest, surrounding us on three sides. 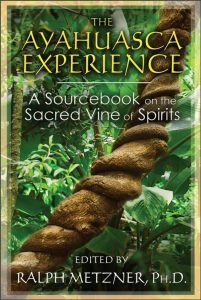 During our session, I had the experience, conveyed as revelation, that it was no accident or quirk of fate that we, as contemporary and sophisticated representatives of a world culture far removed from native peoples with traditions of plant-hallucinogen use, were encountering ayahuasca at this particular time in history. What I heard, or saw, or somehow grasped on a deep intuitive level, was that the spirits of the Earth were communicating to us through these extraordinary plants. Conveying that the collective Gaia-nature of this planet cannot much longer sustain its health and vitality in the face of escalating environmental destruction perpetrated by a world culture dominated by greed and aggression, the essence of this ayahuasca inspired communication was to wake up before it is too late and mobilize what forces are necessary to prevent the annihilation of nature and the obliteration of the life force it nurtures. Later that night, while walking through the moonlit forest, we happened upon a tree with a leaf that, for all that could be determined, was in a state of perpetual motion. No breeze was blowing, no other leaf on a tree or adjacent bush was moving. And yet, this particular leaf, without evident cause, continued to gyrate, rotate, and turn continuously, long into the night. Though antithetical to the reductionist mindset, we could only but confirm that nature was speaking to us. Indeed, nature was alive! Traveling further up river into even more remote regions, we were taken by canoe to a small island. There were six of us, including our local guide. With the sun setting to our backs, we faced the river, listening on a boom box to a tape of ayahuasca chants of the Kulina Indians. About one hour into the experience, with visions of subtle yet immense beauty beginning to crest over us, the tape came to an abrupt end and clicked off. Silence, as we faced the wide river. The sky, resplendent with the setting sun, turning to dusk. Sitting on the narrow beach, I slowly turned my head to the left. At the end of our group sat my friend J. And yet, beyond, and equidistant from J. as we all were from each other, reposed a seventh and newly arrived presence: a dark and still vulture, also sitting quietly facing the river. As my eyes remained riveted on this aviary apparition, unsure of its corporeal nature, J. turned to me and perceived my attention to be directed somewhere to his left. Slowly he swiveled his head to align with my gaze, and then even more slowly turned his head back to look at me, eyes wide open, mouth slightly agape. Later into the night, long after our session had ended, J. and I spoke about what we had seen. Without such corroboration from my friend, I might have understood my perception to have been a hallucination, somehow conjured up from the murky depths of revealed primordial unconscious. 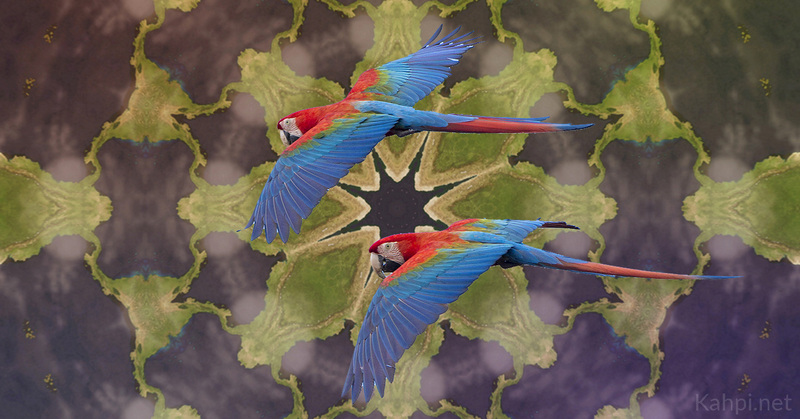 But J. had also seen the bird, sitting to the far left of our row of enraptured sitters, joining us in our communion with the spirits of ayahuasca, the vine of the dead. 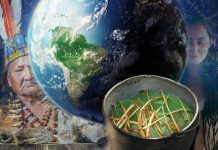 Since my first experience with ayahuasca, I have had the opportunity to participate in a fairly large number of ayahuasca sessions in North America, South America, and Europe. 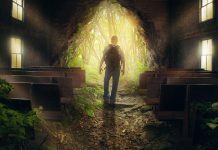 Settings have varied, from tightly structured South American syncretic churches, to contemporary North American groups utilizing shamanistic models, to more free-form experiences with small groups of close friends. My personal encounters with ayahuasca have ranged from accessing heights of astounding transcendent bliss, to plummeting into the fragmenting depths of nihilistic despair. I have traveled to other realms and seen visions of extraordinary beauty and complexity. Knowledge and information, contained in the core of the experience, has swept through me. I have been catapulted to a domain of being other than my self, more akin to the True Self. I have stood humbled in the face of its immense otherworldly power and have dissolved in the embrace of life-affirming ecstasy. These encounters have provided a learning experience of extraordinary depth and profundity. Ayahuasca is a teacher that guides, reveals, and makes manifest the ancient wisdom carried in our souls. At its heart is a moral compass that unerringly orients and directs down a path of simplicity and truth. I have learned that with ayahuasca as a teacher, I may not always get what I want, or expect, but I invariably experience what I need. 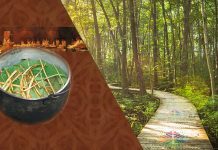 Painful or not, this work with ayahuasca has been a blessing, whose power to heal and enlighten continues to facilitate positive change long after the acute effects of the chemical compounds have departed. 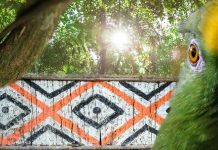 Stay Updated on All things Ayahuasca with our Monthly Newsletter. Join 10,000+ Subscribers. © 2014 Park Street Press with permission from the publisher Inner Traditions. A physician in his thirties. Taking ayahuasca in the Amazonian rainforest, he marvels at the complexity and preciousness of life. Is it Cultural Appropriation for White People to Drink Ayahuasca? 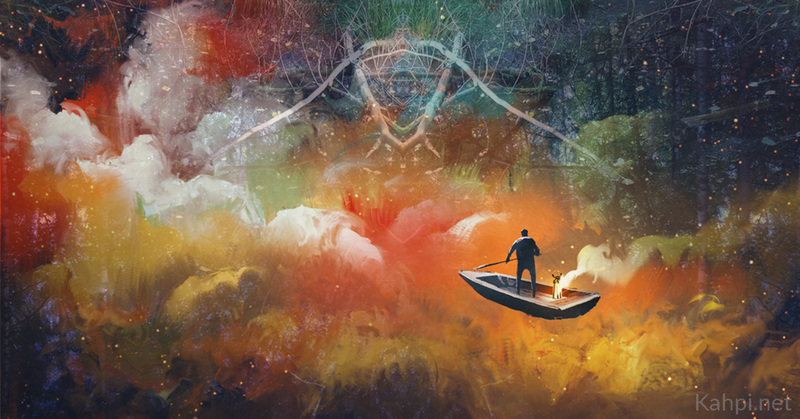 Do Ayahuasca Shamans See Microbial Worlds in Their Visions? 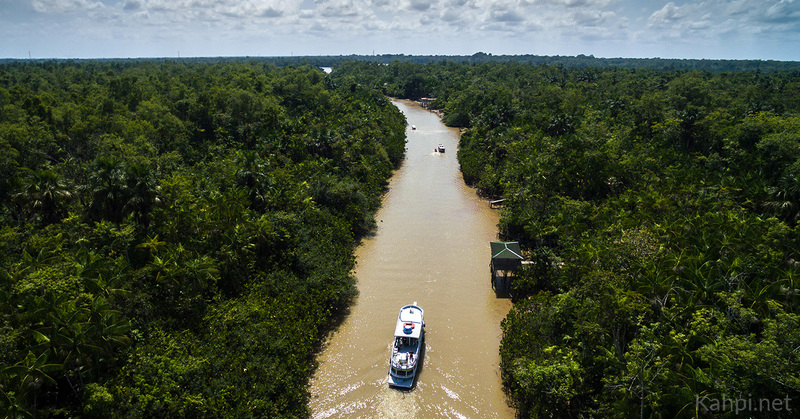 Kahpi is a learning hub dedicated to the Amazonian brew, ayahuasca. Our online courses and articles cover everything from the culture to the science of the brew.